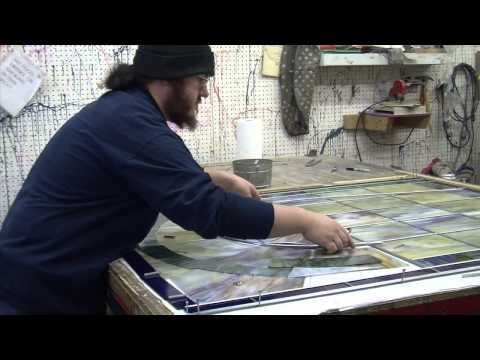 For 25 years, State of the Art Stained Glass Studio has designed and created beautiful stained glass windows for churches throughout the Eastern United States. 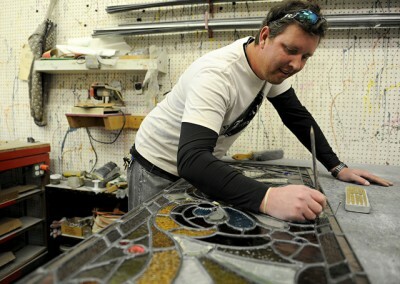 In 1990, Ben Parham founded State of the Art stained glass. 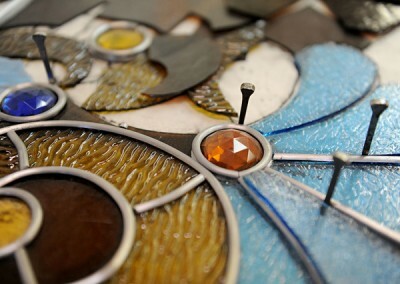 His love of designing and expert attention to detail quickly propelled the studio into a leadership position in the industry. 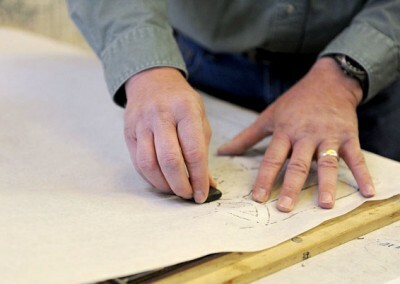 Never compromising on quality and craftsmanship, Ben oversees each project personally from inception to completion. 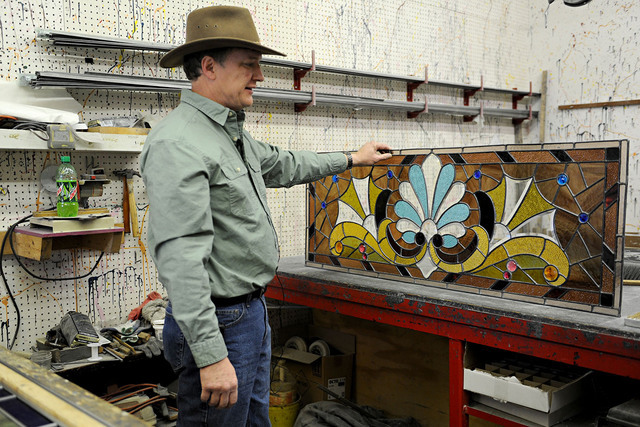 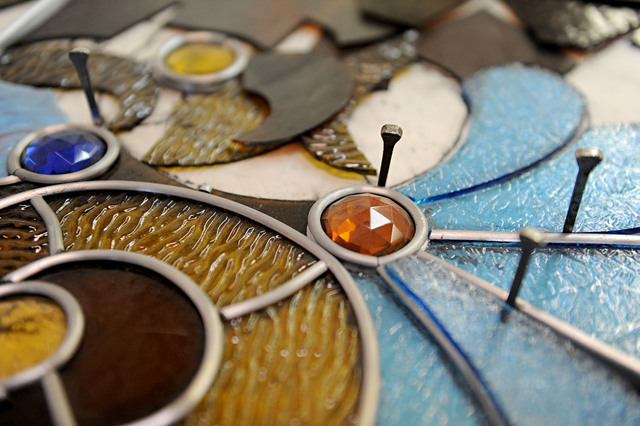 Each piece is hand crafted, utilizing time-honored, traditional methods of stained glass painting, hand cutting, leading, and production. 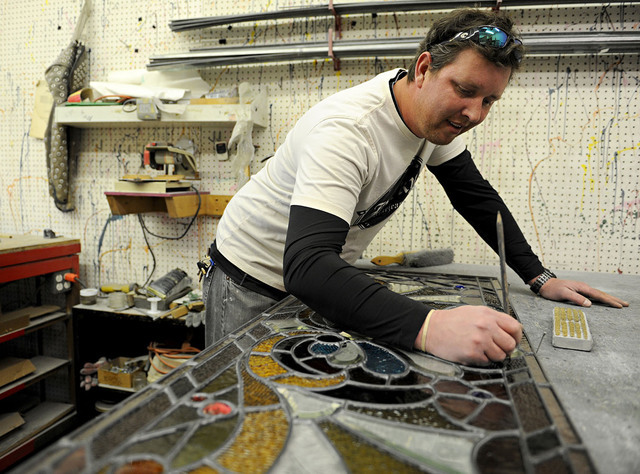 State of the Art is a full service studio specializing in church stained glass windows, window restoration, hand crafted wood working, and protective storm coverings. 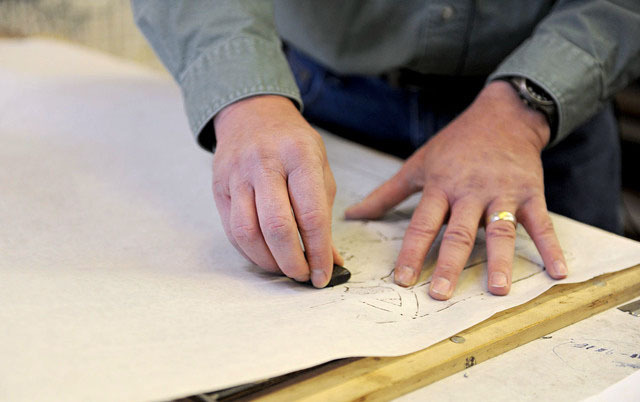 With artistic styles ranging from traditional and classic to contemporary, State of the Art can design a project to fit every need. 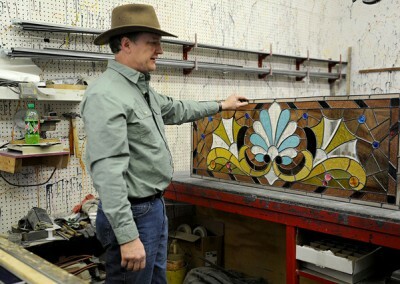 State of the Art is a longstanding accredited member of the prestigious Stained Glass Association of America, which is the mark of excellence in the field of stained, decorative and architectural glass.